At Justrite, we protect where the world works. 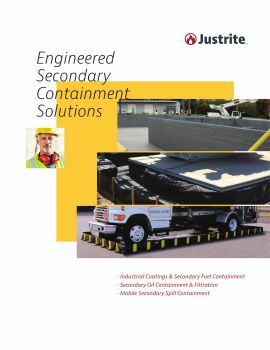 We offer a comprehensive range of secondary containment solutions across applications, tailored to meet your specific requirements and industry needs. The regulations surrounding environmental containment can be complex. We will guide you into compliance—and help keep you there. Make Justrite Safety Group part of your Spill Prevention, Control and Countermeasure (SPCC*) Plan.